Catch the live podcast and chat room on Monday nights around 10:30pm central at http://twitch.tv/newoverlords. Follow and subscribe on Twitter, YouTube, Twitch, etc. to hear podcast news and see our other guild streams. 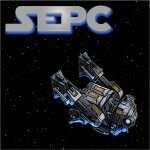 SWTOR Escape Pod Cast 50 – GTN Tips and Tricks!